Shaun and RT Hawke are two of my mentors in learning about the natural history of the San Gabriel Mountains. While teaching together at the Los Angeles County Outdoor Science School, they introduced me to many of the region’s unique plants, animals, and places. Adventures to Mount Williamson and hikes along the Pacific Crest Trail inspired me learn more about the unique flora and fauna of the mountains. They were also9 the first to pique my interest in CNPS. RT and Shaun are long-time members of the San Gabriel Chapter and over the years have volunteered as field trip leaders and rare plant monitors. 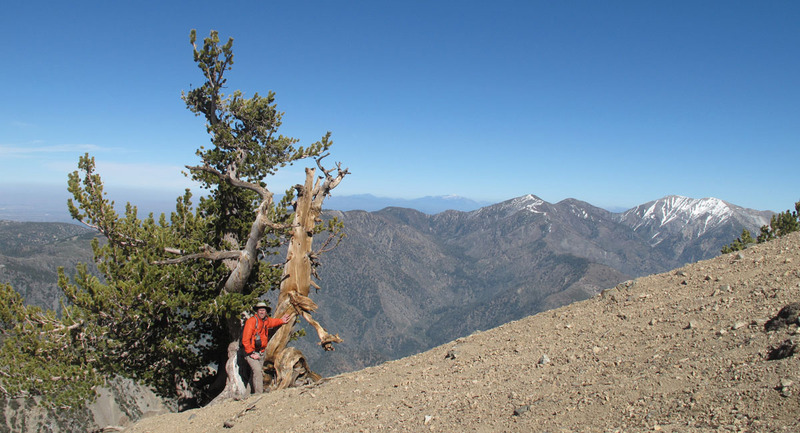 In 2015, I returned to work with CNPS and the Angeles National Forest to initiate a mapping and inventorying project for bigcone Douglas-fir (Pseudostuga macrocarpa). I have had time to reflect on the scientific journey and understand, even more, the beauty and importance of the San Gabriel Mountains. This entry was posted in Plant Exploring, Rare Plants. Bookmark the permalink.